Rio de Janeiro - Maracana 16.06.2014: The Maracana stadium, which was extensively renovated in 2010 – May 2013, is the main venue for the 2014 World Cup held in Brazil. 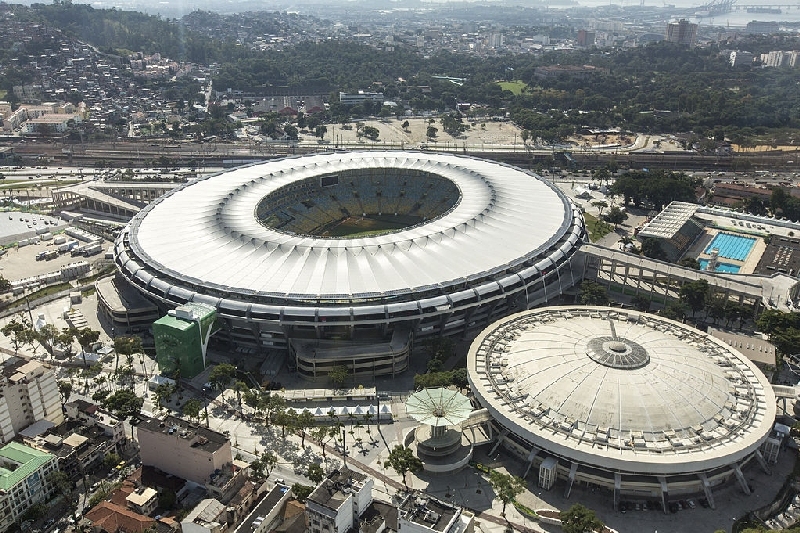 The top-level match to be played at the Maracana stadium is the 2014 World Cup final. In the past, the 1950 World Cup final was played there, and Uruguay then defeated Brazil 2:1. There were 199,854 spectators watching the final at the stadium, which is a record number. It is certain that this record will not be beaten. 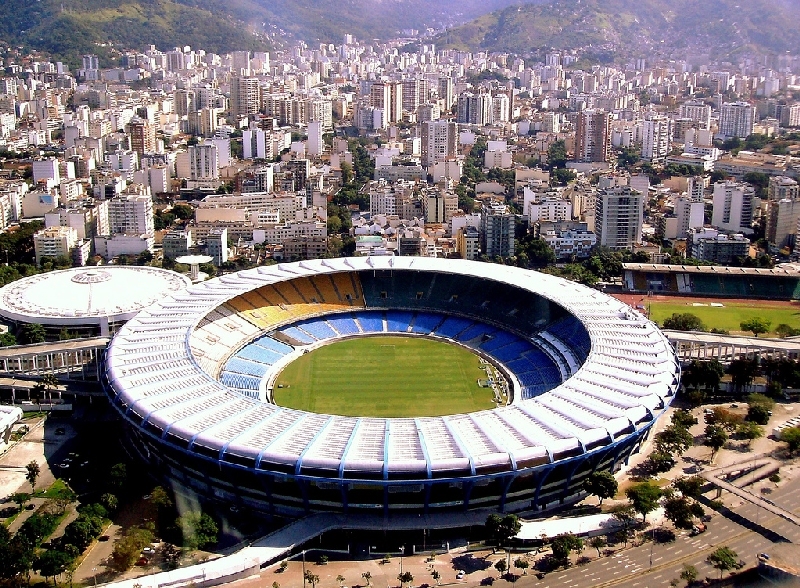 The modernized Maracana stadium has a capacity of up to 78,838. Nevertheless, it is still one of the biggest stadiums in the World Cup history. The Maracana has been nearly completely renovated. The only remnant of the original stadium is the frame of the upper parts of the reinforced concrete stands. The complete lower parts including the roof, the pitch and the façade were newly built. The complete renovation of the stadium cost 932 million BRL (Brazilian real). The Maracana will provide venue for seven matches – four group stage matches, a round-of-16 match, a quarter-final and the above mentioned final, which will be played on Sunday, 13th July at 4pm local time.